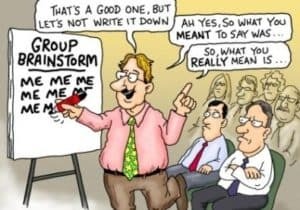 Facilitation – the art of making your meetings more effective. Have you ever had a meeting that seems to go round and round in circles with no discernible outcome? Or it’s the same people who speak up and control the outcome? Or the same old rationale behind decisions comes up and blocks progress? Or there is no active participation so it falls back to the same decision makers? If you have ever had a meeting that turns out like this…. then a Facilitation course is definitely the way to go. I was asked to attend an APMG Facilitation Foundation Course as part of my induction for a new role. I said yes (as you do) even though I had no idea what I was saying yes to. So I thought I had better find out! Facilitation is an assessment certification from APMG delivered through an ATO such as CUPE. Facilitation certification is available at Foundation and Practitioner levels and you work in groups interactively during the course. 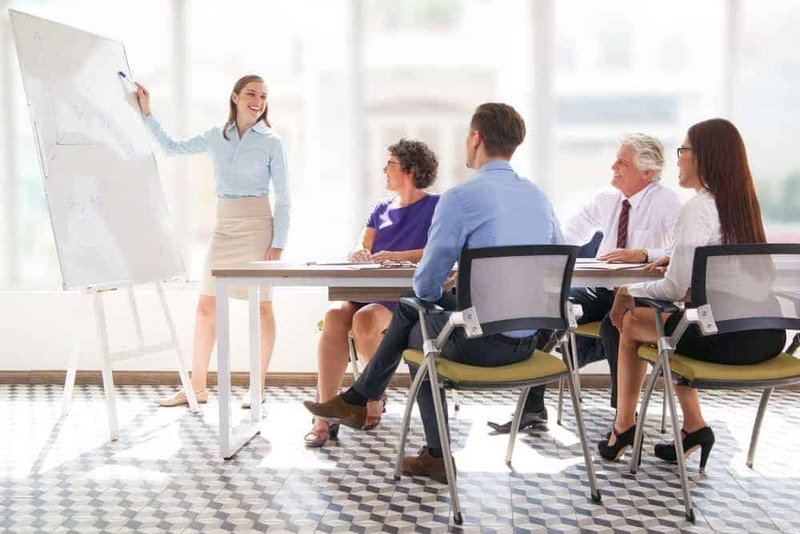 The Foundation certification is to confirm that candidates have sufficient knowledge and understanding of the Process Iceberg® Facilitation Methodology to be able to facilitate and effectively support events. The course follows the syllabus as set down by the APMG Group. Well that’s what I found out when I looked it up. Interesting and intriguing, so I settled down to review the manual that the course revolves around. I was informed that I would need to allocate at least 10 hrs before the course to reading and I can tell you that you do need to but it did turn out to be less challenging than it sounded. I decided to split it out into manageable chunks and I found that as I got into the book, I was spending more time (in some really interesting sections) than I had allocated, so it didn’t seem long before I had finished. I really didn’t know what to expect on Day One of the course. I did feel daunted by the prospect of, maybe, being with candidates who coming with were coming with far more relevant backgrounds or experience than I have but that was quickly dispelled. After being introduced to the rest of the group I absorbed the relaxed atmosphere initiated by the trainer and soon relaxed myself. The Foundation Course is covered in 3 days with an exam on the 3rd day. As the course revolves around the manual, the training sessions are structured around the content of the manual. Day One involved a comprehensive introduction and then straight into the manual, covering the topics listed and deep delving into those areas that needed more explanation. It was great to have some practical scenarios for some of the methodology and models used. We took part in some group exercises and they acted as a great icebreaker as well as a good practical way of learning. Day Two followed the same pattern and I was enjoying the way everyone was coming up with their own ideas for utilising what we were learning when they were back in their own roles. The group exercises were challenging but very rewarding. Given that this course is to assist with ‘facilitating meetings/events’ the exercises were designed to show you the kinds of scenarios when the models can be used and highlight the challenges you may face. We were given the task of completing a ‘mock’ exam as our homework at the end of the day. I actually didn’t find it as hard as I thought I would so I went into Day 3 thinking that it may not be so bad after all. Day 3 covered the last part of the syllabus and allowed some time for covering any areas that you were unsure about. Then it was exam time and in spite of myself, I was nervous. However, a 40 minute multiple choice exam really does sail by and it was over before I really had time to let the nerves take over. I still wasn’t sure if I’d passed though, but I needn’t have worried as I had! So had all the other course members which was really great. What was even better was that they all went on to pass their Practitioners exam too! This course is really enlightening and what I have taken away from it will be invaluable. Even if I am never called upon to be a formal ‘facilitator’, the processes and procedures for running a meeting/event, that I now have an understanding of, can definitely be applied in any role that I am in. I know that I will be using the problem solving models in my current role for sure.